Hendersonville, NC Attorney representing Criminal, Traffic, and DWI / DUI Defendants since 1998. Attorneys who give you an honest assessment of your case- Our lawyers are not just going to tell you what you want to hear. We find what really needs to be done. Then we work hard to get the best results. We are Henderson County defense attorneys on your side. The State of North Carolina is not representing your interests- that is our job. In Criminal, DWI / DUI, and Traffic cases, knowledge of the law alone is not always enough. 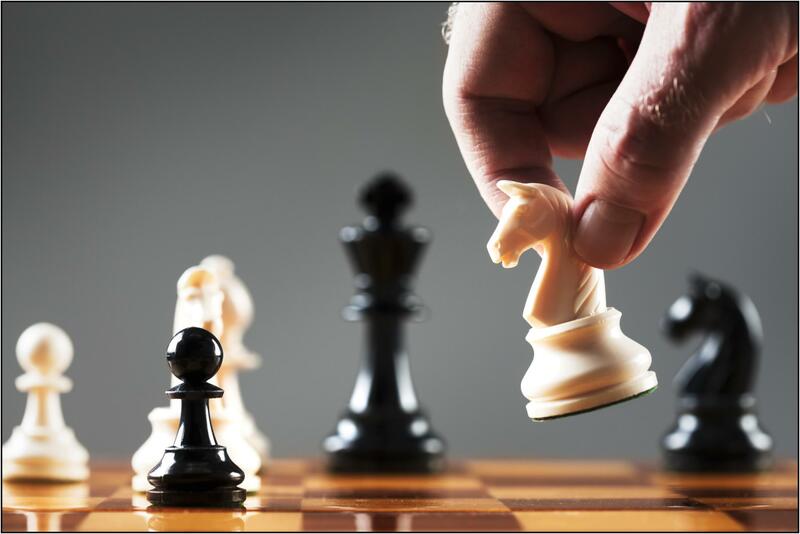 Intelligent application, research, and strategy produce victory. Hendersonville Attorneys who care about your case- because we know it is important to you, it is important to us. 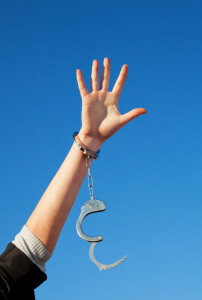 Traffic Tickets, DWI, Drug possession- Getting your life back on track. Preserving your freedom, protecting your rights. Henderson County is in the 29-B Judicial District of North Carolina. The 29-B District encompasses Henderson, Transylvania, and Polk counties. This is a large district, but we deal with the same group of Judges and District Attorneys in each county on a regular basis. The court personnel, Clerks of Court, and other officials in the district can be very helpful and informative, but they cannot give legal advice. The elected District Attorney, Greg Newman, was appointed by the Governor a few years ago when former District Attorney Jeff Hunt was selected as a Special Superior Court Judge, and then was easily re-elected at the last election. I met Greg when I first started practicing in Hendersonville in the 90’s, and have been very pleased to see him taking the reigns in district 29-B. He has demonstrated to me his ability to be a fair and reasonable District Attorney-and that is the highest accolade any District Attorney can receive from a defense attorney! In my experience he has been able to maintain a balance between protecting the citizens in the district by prosecuting crime, and has followed the District Attorney’s oath to “do justice”. I have enjoyed working with him on criminal, DWI/DUI, and traffic cases over the last few years and look forward to working with him and his assistant district attorneys in future years. Criminal court in Henderson County may be held on any weekday, but certain kinds of cases are generally calendared on certain days. Mondays and Thursdays are usually reserved for law enforcement officer court dates- Highway patrol, Hendersonville Police, Laurel Park Police, Fletcher Police, and Henderson County Sheriff Deputies all schedule certain days that they are expected to be in court to discuss and be available for the cases they are involved in. They can often be called in or subpoenaed for other days, as well. Tuesdays are usually reserved for Felony matters that are still in district court, pending probable cause hearings or first appearances. Wednesday afternoon is generally minor traffic court, and Fridays are primarily civilian witness cases, such as injury to personal property, assault, assault on a female, domestic trespass, and similar cases sworn out in front of a magistrate, rather than cases that result from a law enforcement officers own observations. The Curtis Sluder Law Firm frequently handles cases in all three counties of District 29-B- Transylvania, Henderson, and Polk counties. Some of the cases we regularly represent defendants on are traffic and criminal matters, such as speeding, reckless driving, DWI, and driving on revoked licenses. 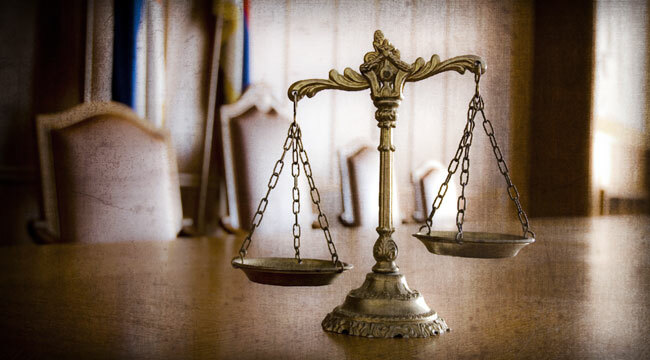 We also represent many defendants on other felony and misdemeanor offenses, such as drug charges, probation violations, expunction, assaults, weapons charges, and related criminal offenses. The Curtis Sluder Law Firm has focused on traffic defense and criminal law in Henderson County for more than 15 years, and was the first law firm in Western North Carolina to have a dedicated traffic practice. We has defended thousands of cases involving criminal offenses, traffic charges, and other infractions occurring in Waynesville and Haywood County since 1998. Contact us to discuss your case. 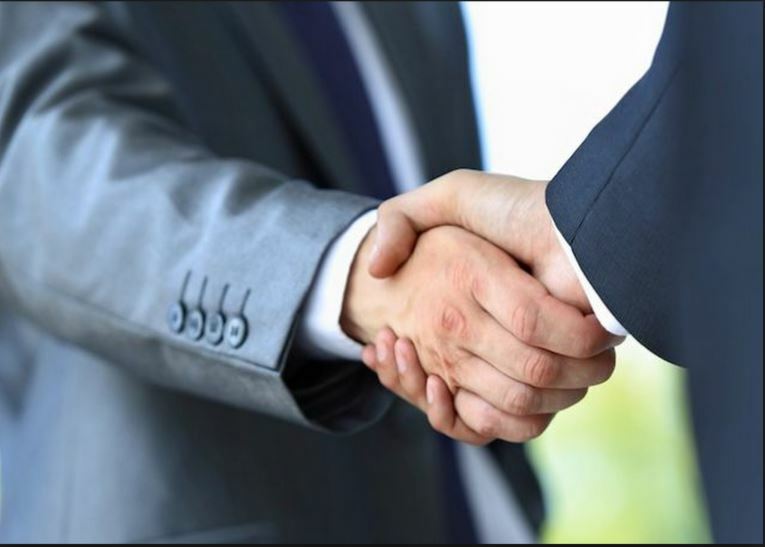 We offer free initial consultation by telephone, and would be happy to arrange an in person consultation as well. Please call us to see how we can help protect your interests and defend your rights. Even though I expect the district attorneys office in Henderson County to be fair and reasonable, the very political nature of DWI makes it a difficult charge to defend. DWI in North Carolina does not get “pleabargained” to lesser offenses. North Carolina Law requires the district attorney to prepare a lengthy written explanation for any change to, or dismissal of, any “implied consent” (alcohol- related) charge. This long written form is then filed as a public document that the “courtwatchers” have access to and keep tabs on. Of course, this means that as a practical matter no elected official is going to make any modification or dismissal of a DWI charge except in the most rare circumstance. Therefore, when you are charged with a DWI, you can expect that the case is going to proceed “as charged”. You will either be found guilty, or not guilty, of what you are charged with. Traffic cases in Henderson County are usually scheduled for one Monday each month, or Tuesday-Thursday sessions of Criminal District Court. We represent most traffic cases by written waiver, which means we inform you of the likely options for your case, possible outcomes, our plan of action in your case, and you allow us to go to court on your behalf, meaning you do not need to take a day off work in order to attend court to handle your traffic cases. This is especially important for persons who were ticketed while passing through western North Carolina, as well as residents with other obligations. Rest assured that your presence is not necessary, though, and if things do not go as we planned in court, we will continue the case and contact you about any new developments that may have arisen. Representation in traffic matters usually incurs a fee from as little as $100, and we typically save you far more than that by preventing possible insurance increases. Typically, misdemeanor criminal cases in Henderson County are handled on the second floor of the Henderson County Courthouse, located at 200 South Grove Street, Hendersonville NC. Court days can be any date, but usually Wednesday afternoon at 2:00 pm administrative traffic court is held. Each Monday and Thursday usually have two Court dockets, one at 9:00 am, and one at 1:30 pm. Be sure to double check which time you are to arrive, and make sure you are there 5 or 10 minutes early so you are not missed. Tuesday. Wednesday morning, and Friday criminal sessions will only have one docket call, at 9:00 am. Again, defendants should be in court by 9:00 for calendar call. The District Attorney is usually unable to speak with unrepresented defendants until some time after the calendar call. 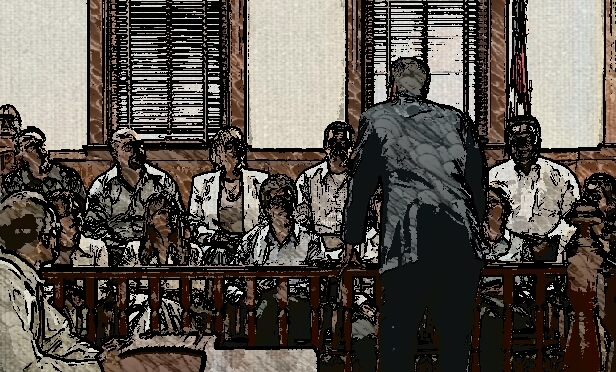 Superior court weeks vary throughout the year, and there are several sessions of Superior Court, though there is not a session of Superior court every week. The Henderson County Animal Service Center does not handle animal bites, animal pick ups or animal related complaints including animals at large or cruelty/neglect. For help with an animal problem, call Henderson County Sheriff Office’s Animal Enforcement Division at 697-4912. 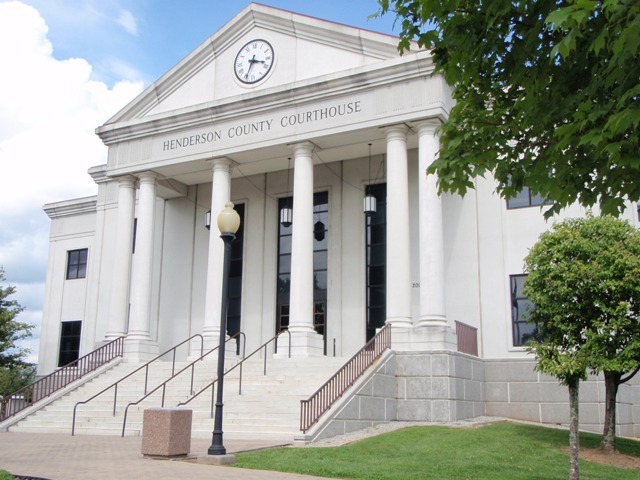 The Henderson County Attorney provides legal services to the Henderson County Board of Commissioners, the County Manager, and the county departments, including but not limited to, the Department of Social Services and the Department of Public Health. This office regrets that it can not provide legal services to individuals or the public. The Office of the County Attorney provides, in a timely and competent manner, professional legal services to the Henderson County Board of Commissioners, the County Manager, and county departments, which enables them to perform their respective roles within legal parameters. There is no need for an appointment. The hours are from 9:00 AM until 11:00 AM every Wednesday morning. The charge is $10. The Henderson County Sheriff’s Department offers this service on different days. Call them at 697-4911 for more details. Copies of accident reports and letters of verification may be obtained at the department Monday through Friday from 8:00 AM until 4:30 PM. Letters of verification are letters that certify that you have filed a report. The actual reports are not released to the public. Call 697-3036 if you have any questions. Or you can continue to get reports free of charge in person at the Police Department during regular business hours. Mondays 3:00 PM until 4:30 PM , and Wednesdays 8:00 AM until 10:00 AM. Call 697-3042 if you have any questions. The Town presently has 12 police officers. Of this number, 7 are full-time officers, and 5 are part-time (reserve) officers. Chief Bobbie K. Trotter – Chief Trotter has been involved in law enforcement in Henderson County since 2003. Bobbie started as a Reserve Officer at the Hendersonville Police Department. She continued working at the Hendersonville Police Department and became a full-time officer in 2004. Bobbie worked in various capacities while at Hendersonville; she was a Patrolman, a School Resource Officer, and a Detective before joining the ranks of the Laurel Park Police Department. Bobbie was appointed to Chief of Police in Laurel Park in January of 2012. She has a Bachelor of Science Degree from Mars Hill College in Political Science with a concentration in Criminal Justice. Bobbie holds an Advanced Certificate in Law Enforcement from the North Carolina Criminal Justice Education and Training Standards Commission. Welcome to the Henderson County Register of Deeds website. We are proud to serve the citizens of Henderson County as custodians of some of the county’s most historic documents. Please note that we are a recording office and not legal authorities and therefore cannot advise in any legal capacity. Our primary purpose is to record transactions for public record that are executed in accordance with North Carolina Real Estate Recording Standards. Checks, cash and money orders are accepted forms of payment. All land transfers, easements, rights of ways, surveys. Security instruments such as, but not limited to, Deeds of Trust, Mortgages and UCC filings. Vital Records such as Births, Deaths and Marriage certificates. Certified copies of vital records may be obtained for a fee of $10.00 with proper ID and acceptable relationship to person being applied for. Photo copies are available for $.25. Businesses filed under an assumed name, also known as DBA’s. Military records are recorded and certified for the Veteran at no charge. The mission of the Henderson County Sheriff’s Office is to serve our community by reducing, preventing and investigating crime. We enforce the law to maintain peace and security for our citizens. We strive to be a highly trained and dedicated team of professionals who hold ourselves to high ethical standards. We value the contributions of our personnel and the sacrifices they make. We swear to uphold this sacred trust, and we will not waiver from our noble purpose. We have moved! Our address is 100 NORTH GROVE STREET, HENDERSONVILLE, NC 28792. We are located adjacent to the Henderson County Courthouse. Our phone numbers have not changed.